Nominations for the 2019 DRI Awards Are Now Open! Each year at the DRI International annual conference, the Awards of Excellence program honors the leaders and innovators in the fields of continuity management, technology recovery, and crisis and risk management. The nominations period is now open, and we can’t wait to see your picks! You can fill out the nomination forms online, or download them as PDFs to complete at your convenience. Don’t wait to nominate! Get your selections in by the Dec. 2 deadline, and join us at the DRI2019 Awards of Excellence Gala on Feb. 19 at Planet Hollywood Hotel and Casino in Las Vegas, NV, to cheer on the finalists. Program Leader of the Year (Private Sector) – Leaders who have demonstrated exceptional innovation and leadership within the private sector, as well as a deep understanding of the continuity issues most important to the field. Program Leader of the Year (Public Sector) – Leaders who have enhanced the business resilience of a public sector organization, while improving community preparedness as a champion of business continuity to local businesses. Program Leader of the Year (Non-Profit Sector – 501(c)(3)) – Practitioners working to make the non-profit sector more resilient, by strengthening relationships among service suppliers, insurers, and continuity professionals, as well as developing creative, effective approaches to continuity planning and promotion. Newcomer of the Year – Up-and-coming leaders who display ingenuity and understand the wider impact of business continuity within their organizations. Lifetime Achievement Award (Voted online) – The most experienced professionals in the industry, honored for the stellar work they have done over the course of their careers. Team of the Year – Groups who display exceptional teamwork within the business continuity department, in-house across the organization, and with external consultants and partners. Response and Recovery of the Year – Organizations who have successfully bounced back from a major incident using their plans, skills, and creativity. Product/Service Provider of the Year (Voted online) – The best in products and services developed for business continuity providers. 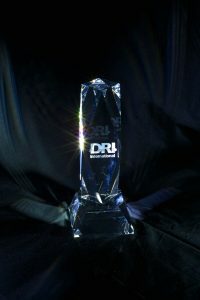 Attend the DRI Awards of Excellence gala to find out who wins at DRI2019, coming Feb. 17-20 at Planet Hollywood Resort and Casino in Las Vegas, NV! Since the first event in 2012, DRI’s conferences have grown to become must-attend experiences for business continuity and resilience professionals. The conferences provide real education and networking opportunities, while maintaining a close-knit, intimate environment attendees prefer. Click here to learn more about the event and stay tuned for info on speakers and registration!